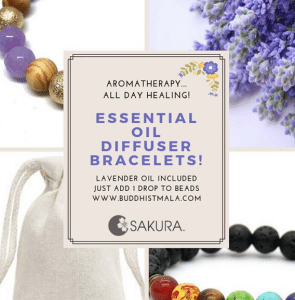 Please do not wrap your mala around your wrist to wear for long periods of time, as this stress can cause your mala to break. 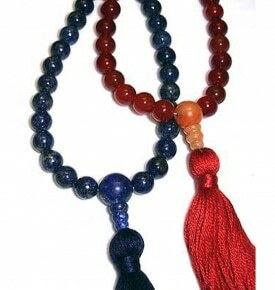 Rather, store your mala in pouch provided when not in use. Please use only wood or Bodhi Seed for prostration (bowing) practice, and these beads can be protected by rubbing small amounts of olive oil on them. Treat gemstone malas with care, as gems can crack with force, particularly amber and turquoise and these have natural fracture lines. Freshen up the tassel! 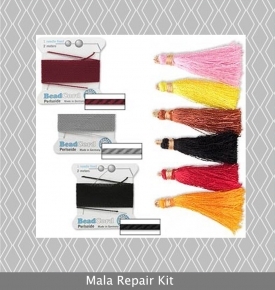 When the tassel shows some wear, you can wet and comb the strands, trim if needed, and let dry overnight. 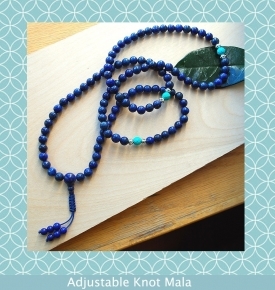 Also, if metal is used on your mala, over time the beads can tarnish, please read about how to prevent tarnishing. We make sure that every mala that we make comes with a complimentary silk pouch for you to store it in when not in use. Warmest wishes to all, and thank you for your support!